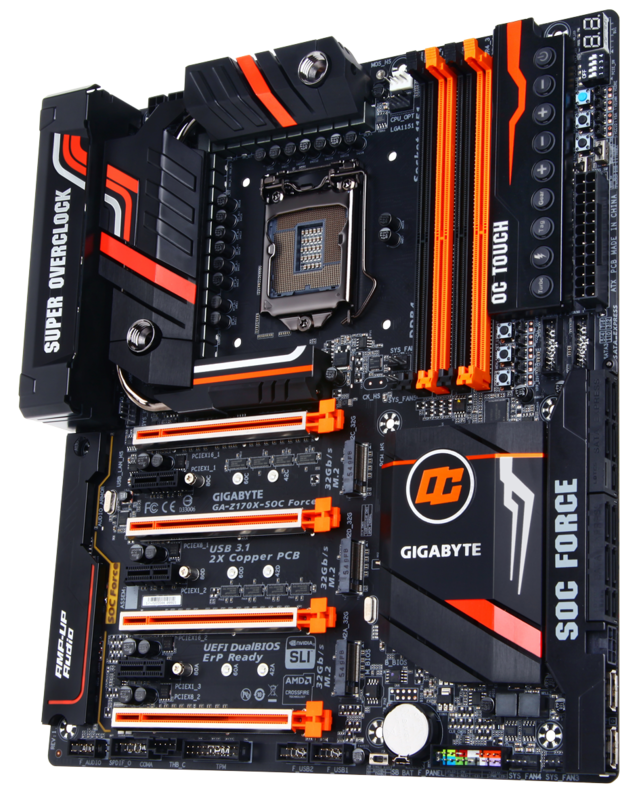 The Z170X-SOC Force is GIGABYTE's overclocker-focused board for the Intel 100 series chipset. While you can overclock on any of our boards, the SOC Force is specially tuned for overclocking and provides features like the OC Touch panel on the front which make adjustments easy for those that have the motherboard out on a test bench. 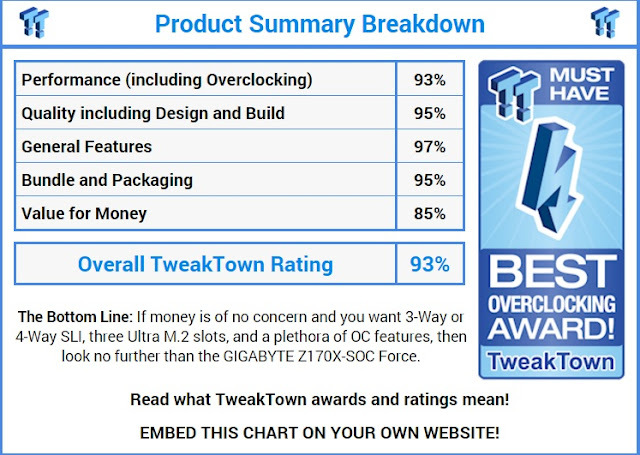 Recently Steven Bassiri from TweakTown reviewed the Z170X-SOC Force and gave it a rating of 93%. Steven said that he liked the 4-Way SLI and three M.2 32Gb/s Slots, the High-Quality VRM, and excellent overclocking features available on the board. 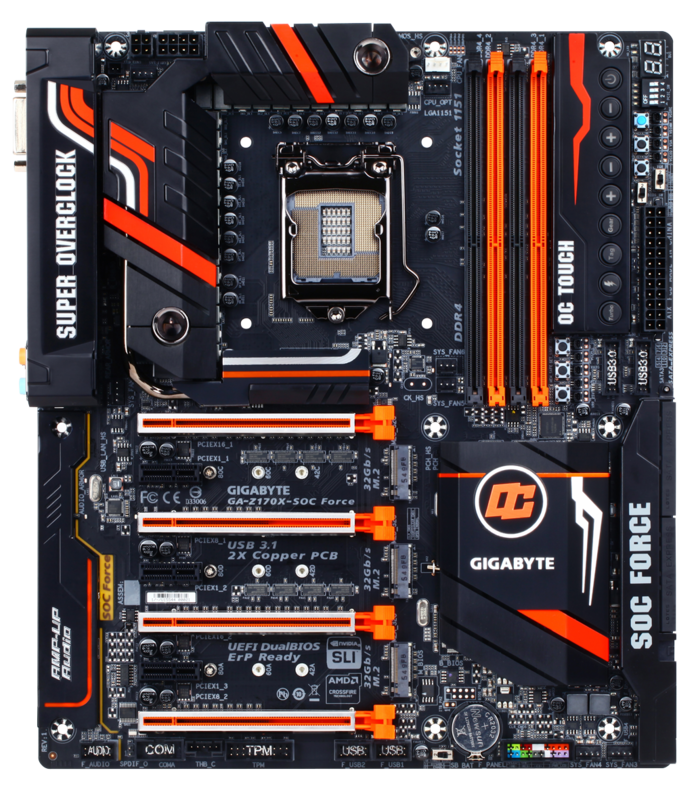 The Z170X-SOC Force is built to be the largest, and most equipped overclocking motherboard GIGABYTE has to offer for Skylake, and it lives up to its legacy. The Z170X-SOC Force is the result of a long line of predecessors that filled in the same price range and feature set, and while there aren't many people who might make use of all its features, many people still look at it as their dream motherboard. The aesthetics of the Z170X-SOC Force are possibly the best of any OC series motherboard from GIGABYTE thus far.The Z170X-SOC Force is aimed at two different segments of the enthusiast population; those who want crazy amounts of GPUs and M.2 storage, and those who want strong overclocking features and performance. 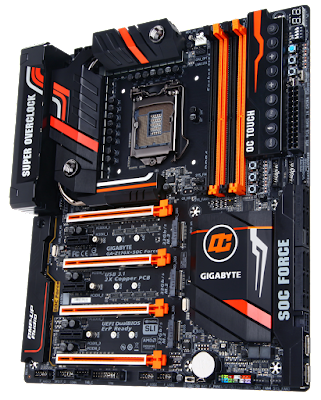 The Z170X-SOC Force is currently one of the better options if you are going to go for Z170 multi-GPU world records on HWBot, or if you want to build a super equipped gaming rig with the latest in storage technology.